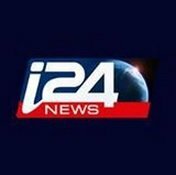 News TV Channel / i24NEWS is an Israeli international 24-hour news and current affairs television channel located in Jaffa Port, Tel Aviv, Israel. It broadcasts in French, English and Arabic. The channel's owner is Patrick Drahi, and the CEO is Frank Melloul. The network began broadcasting in the US on February 13, 2017. The English channel is broadcast from New York between 6-10 p.m. Eastern Time and at other times broadcasts from Israel.